Since I wrote about drake, and his love life a few times on here I guess I can rewrite about another couple again as well. So, earlier this week Russell Wilson went on Facebook live for a “Q&A” however what stood out about the interview was his wife Ciara best friend Yolanda Frederick coming into the interview; and sitting in Russell Wilson lap. It was crazy how comfortable she was to sit in his lap, like she was his wife (now he did asked her to sit in his lap but that still don't make it right she knew the girlfriend code). We want our man to be comfortable around our friends, however if that was my best friend sitting in my man lap like that then we would some issues in our friendship. Dating is hard enough as is, but we’re living in a time where no one respect the relationship code anymore it just everyone for themselves. And that video is a reminder why women don’t trust other women around their man, we make jokes about it all the time but don’t address how we feel; and the reason behind that decision. I can count on my hands how many women I consider my friends, ever since I started dating I was the underdog because I’m not like other women. I’m not the woman you see with her nails done, and hair done all the time (I love feeling my hair blowing in the wind so I wear my hair natural most of the time). However, that don’t stop men from coming to talk to me I can pick up men that women dream about and I’m not being cocky it just how the game works for me I’m comfortable in the woman that I am; and men like that. However, when a woman see another woman get man that she feels like you didn’t deserve then that when that woman true colors will come out you will see how she truly feels about you. She won’t say it out loud but her actions will show how she feel about you getting a man that she feels like she truly deserves, when a woman is tired of being single her true colors come out she tired of smiling like she is happy for you when she is still out here looking for her soulmate. And if you with a man that have no respect for you guy’s relationship then he will give your friend exactly what she wants, since many women don’t believe in their man being their best friend it play a role why so many women are single today. I’m a woman so I get it, there are things that you think that you can’t share with your man so you turn to your girlfriends not knowing that you’re opening up Pandora box of problems in your relationship. Furthermore, you will have friends that will be genuinely happy for you. There are friends that want to see you happy because they feel like you deserve your own piece of happiness, so they will cheer you on and hope for the best in your newfound love. But we all have those friends that we have to keep an eye on, why they’re still in our circle of life that something I don’t understand. Furthermore, if you have friends that you have to watch then you don’t need that person in your life no matter how loyal they are to you at time. 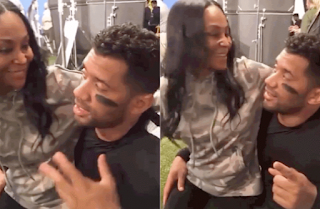 While I questions Ciara judgement in who she called her friends, it a level of respect that your friends need to have when it comes to your relationship. 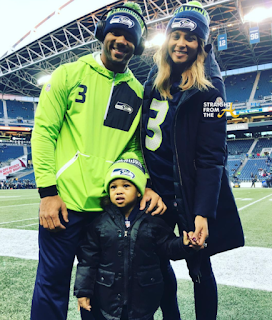 If you two been friends for years then she knows the girlfriend’s codes, and let be real here the way men try to print Ciara as this big hoe for moving on with her life it wouldn’t surprise me that some of her “girlfriends” feel the same way as well. These celebrities only put out there what they want you to know, and we don’t know what goes on behind closed doors. However, for her “friend” to feel that comfortable to sit in her man lap like that then their it clearly something that we don’t know. But who really knows we’ll just be watching like we don’t have a life of our own to worry about, that the things about these people lives we love to watch like we don’t have a life of our own. Remember This Is My Opinion. Good points here. 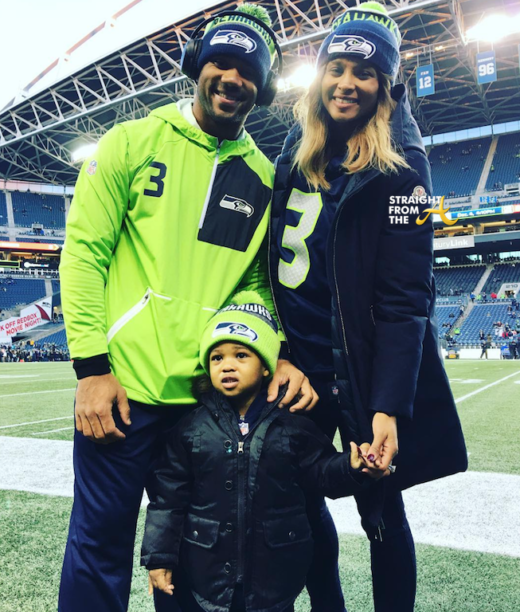 As much as Ciara and Russel Wilson are seen cuddled up, and then the fact that she's pregnant, that photo really took me by surprise. He definitely needs to be checked also lol. But you're right; unfortunately we life in a day and age where respect is off limits. I'm sure "back in the day" people were disrespectful towards other people's relationships, but nowadays it seems to be off the chain or just a lot more visible due to social media. I would definitely question my friendship with the young lady because she was way too comfortable.